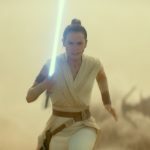 The title and trailer reveal for Star Wars: Episode IX. 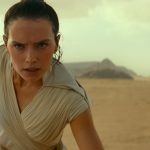 See the first footage of The Rise of Skywalker and learn a bit more based on Star Wars Celebration 2019. 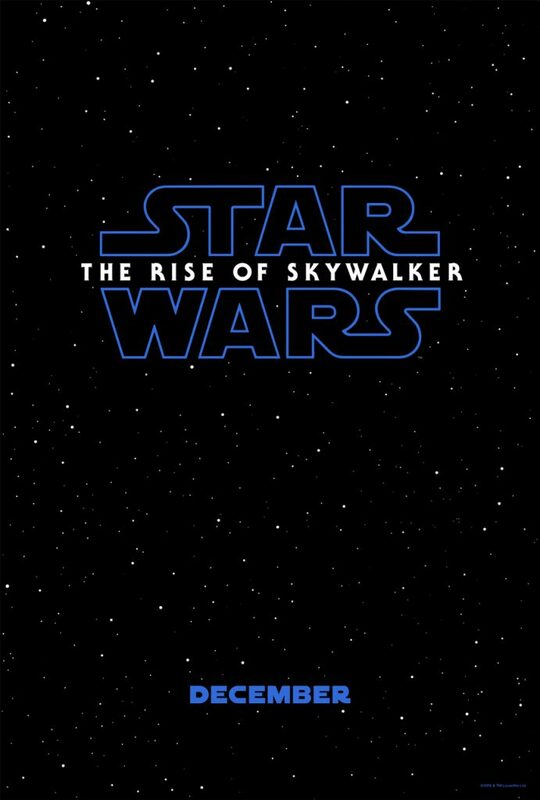 Thanks to today’s Episode IX panel at Star Wars Celebration Chicago 2019, the official title of the upcoming final chapter of the Skywalker saga is The Rise of Skywalker. Watch the trailer above, enjoy all the goosebumps you get and then come back to get a little more info. Obviously, details are pretty scarce as of now. 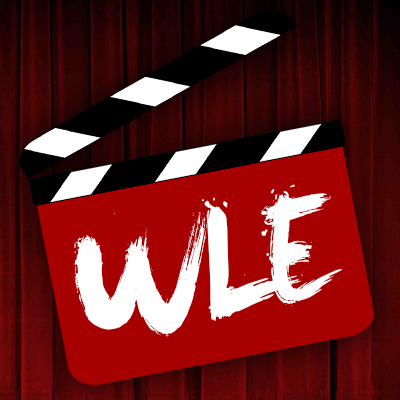 We only just now have a title, let alone a teaser trailer hinting at things to come. Plenty of questions, for sure, though. What does the title mean? Is the Emperor back? Is backflip practice being taken to new extremes? We’ll have more answers in time, but oh boy does it feel good to get new Star Wars footage. 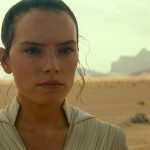 Regardless of your thoughts on the more recent Star Wars films, there is a real sense of joy that comes from seeing new footage from such a legendary saga, no matter how much ambiguity is taking place. 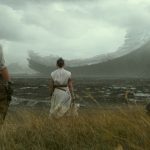 There’s more information to sort through, and there are people far geekier and more informed than me to get into the nitty gritty of all of this, but how about all this great imagery? 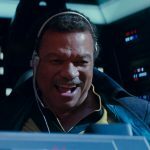 Seeing Billy Dee Williams back as Lando Calrissian is a joy. The prospect of having all of our heroes that make up the new cast being together on an adventure is sure to provide plenty of fun. 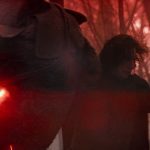 We don’t know what Kylo Ren is up to, exactly, but his rampages surely haven’t stopped, and he even looks to be reconstructing his mask. But what else is going on? 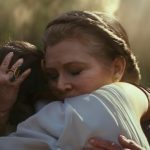 We knew director J.J. Abrams would be incorporating footage of the late Carrie Fisher into this installment of the series, and Leia is indeed very present here. There’s also Mark Hamill’s presence as Luke, who narrates the trailer. We knew Hamill was among the returning cast members, likely pointing to him appearing as a force ghost, but is there more to it than that? 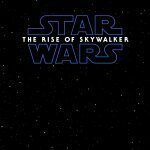 Given the title of the film, it certainly fuels further speculation. Speaking of which, Emperor Palpatine’s signature cackle is heard at the end of the trailer. We may have lost a Snoke, but is this Sith Lord about to become a threat yet again? Yes, there are a lot of questions that can’t be answered yet, so why not focus on what else is actually being seen? 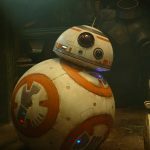 We have lightsabers, A-wings, Imperial fighters, Lando, new costumes, new planets, and some other very specific imagery bound to be significant (Abrams knows what he wants to show, regardless of his mystery box approach). It’s exciting stuff, to say the least, and makes for an excellent way to launch all kinds of thoughts and theories leading up to the film’s Winter release. 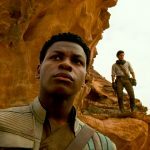 Finn (John Boyega) and Poe Dameron (Oscar Isaac) in STAR WARS: EPISODE IX. Lando Calrissian (Billy Dee Williams) in STAR WARS: EPISODE IX. 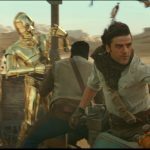 C3PO (Anthony Daniels), Finn (John Boyega) and Poe Dameron (Oscar Isaac) in STAR WARS: EPISODE IX. 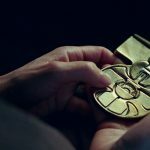 Memory of Victoryâ€™s Past in STAR WARS: EPISODE IX. 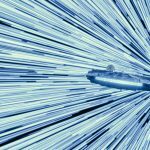 The Millenium Falcon in STAR WARS: EPISODE IX. 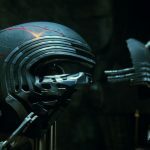 Kylo Ren’s restored helmet in STAR WARS: EPISODE IX. 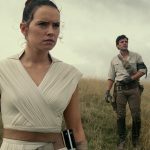 Finn (John Boyega), Poe Dameron (Oscar Isaac) and Rey (Daisy Ridley) in STAR WARS: EPISODE IX.